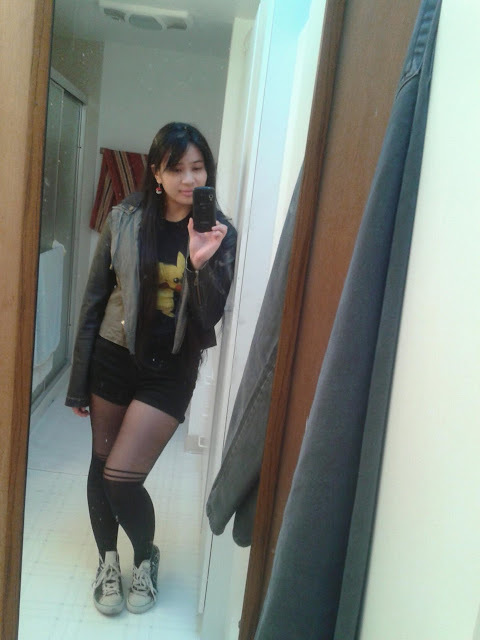 Went out Saturday night for my bro's birthday party thing, and the club we went to had a "nerd/school girl" theme. 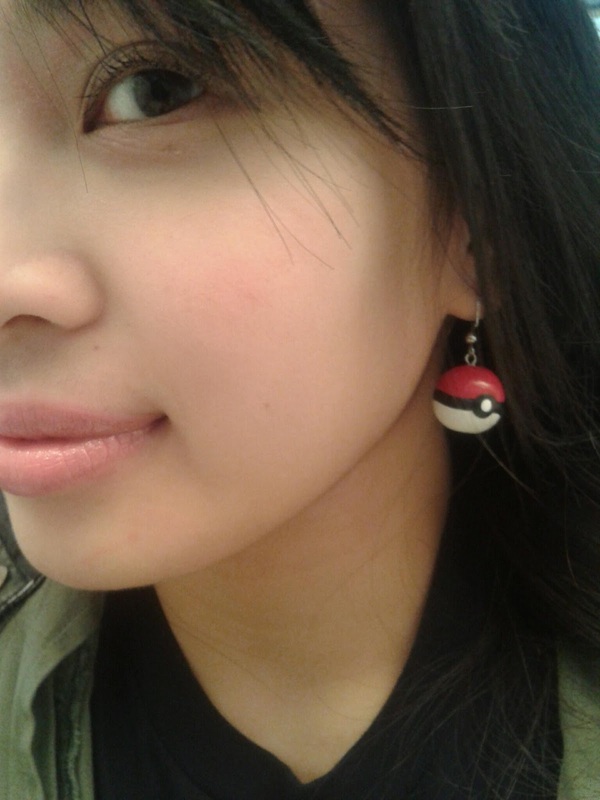 Since I wasn't feeling the school girl vibe, I decided on the 'nerd' aspect by wearing my Pikchu tee and Pokeball earrings. 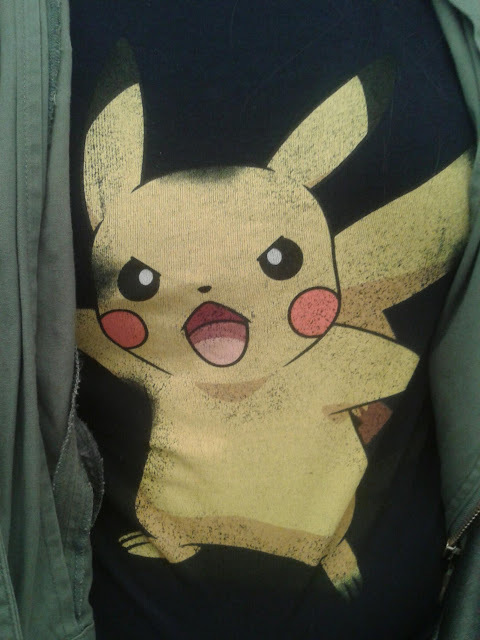 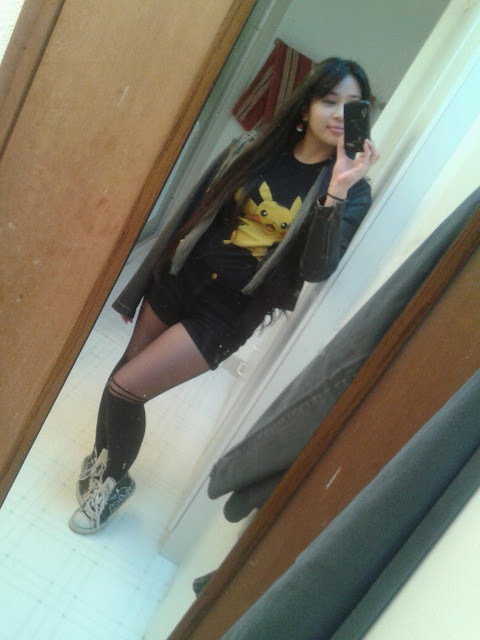 love the shirt :D pikachu is the best!